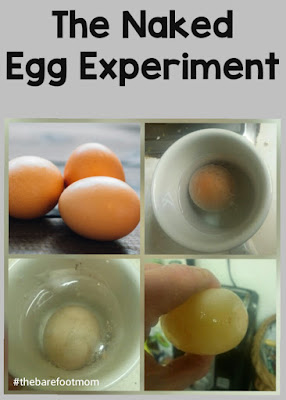 In this post I will share how to do one of mine and my daughter's all time favorite experiments, making naked eggs! It's really simple but the results are so neat! 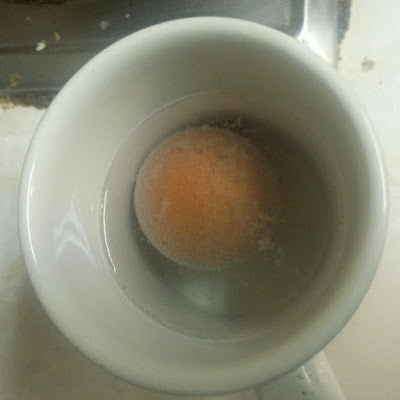 Start by placing the egg in the cup and add vinegar until the egg is fully covered. Almost right away you should notice a reaction taking place. If you look closely you will see tiny bubbles forming around your egg. This is carbon dioxide forming from the reaction between the vinegar's acetic acid and the calcium carbonate that makes up the egg shell. 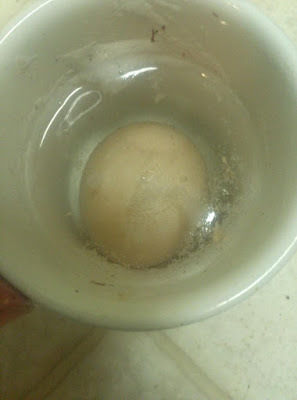 Leave the egg in the vinegar overnight. In the morning carefully change out the vinegar in your cup for fresh vinegar. 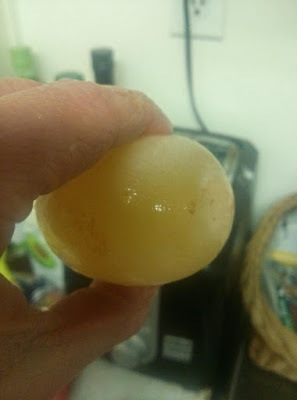 If you use a brown egg, like we did, you will notice a lot of the brown color has dissolved away overnight. You will also notice that your egg's shell is becoming squishy. Now comes the being patient part. Let your egg sit in the vinegar for another 1-2 days, until the shell has completely disappeared and all that is left holding your egg together is a transparent membrane. You may have to gently rinse under water to get the remains of the shell off. Be careful not to pop the membrane though! 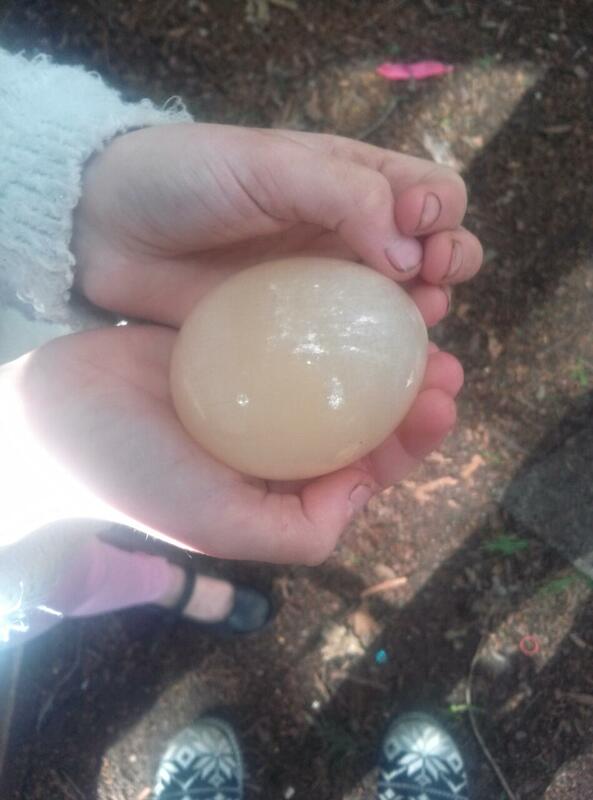 Take a look at your egg in good sunlight or try shining a flashlight through it. You should be able to see the yolk inside! Use this an opportunity to learn about egg anatomy. The Accidental Scientist has some good information here. Try this fun spin on the naked egg experiment! Soak several eggs in vinegar for 24 hours. The shells should be good and squishy by then. Then try dropping eggs from varying heights to see how high you have to drop it from to make the membrane burst. This is a messy experiment so you'll probably want to set it up outside. How fun! 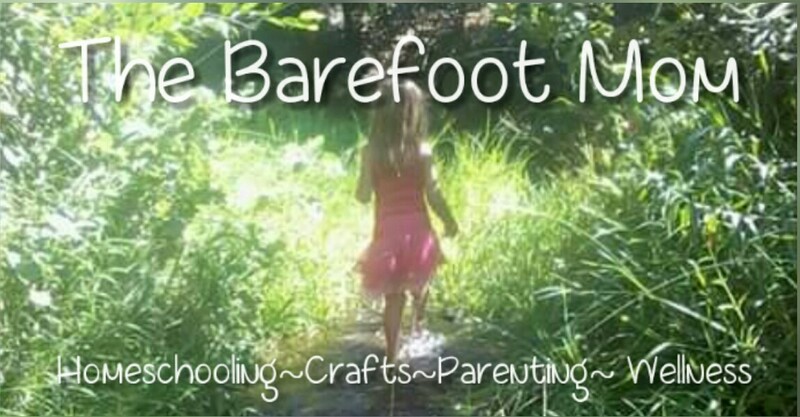 I cannot wait to do this with my oldest. We are always looking for science experiments to do! Thanks for reading. Enjoy your experiment! Thanks for reading! Enjoy your experiment!